HTS is a game-changer for users of Ku- and Ka-band in geostationary (GEO) and non-GEO orbits. Newer technologies enable satellites to reuse frequencies to maximize bandwidth via numerous spot beams, which dramatically increases the data throughput while reducing operational costs. By definition, efficiency in SATCOM is defined as the amount of error-free data delivered to the end-user. With HTS networks, efficiency is a complex trade-off between the volume of data transmitted via spot beams and the proximity of spot beams of the same frequency, which can cause interference and signal degradation. Highly efficient HTS networks enable lots of end-users access to lots of data simultaneously. We all have increased appetites for demand as consumers and business professionals — anywhere, anytime and with any device — which is fueling the demand for terrestrial systems and SATCOM backhaul. With SATCOM backhaul or direct SATCOM service, geographic constraints disappear. New Medium Earth Orbit (MEO) networks, such as the O3b Ka-band network, are enhancing efficiency with minimal fiber-like latency, high capacity and lower cost bandwidth. O3b’s satellites are orbiting 8,062 km (5,009 miles) above Earth (versus GEO orbits at 22,000 miles), and this proximity enables dramatically reduced latency, which means that the network can be used for applications that are latency sensitive. The network’s steerable spot beams can manage up to 2 Gbps each for a total of 84Gbps available with the network’s configuration today. TheO3b network coupled with AvL transportable tracking antennas provides powerful and efficient performance and the throughput delivered with one antenna system can replace numerous older GEO systems. Greater efficiencies on the space side of the beam drive an expectation for greater efficiencies on the ground side, as well. SATCOM efficiency is also measured in terms of antenna operation, which includes gain, aperture taper, surface accuracy, cross polarization and blockage. Blockage occurs when the feed or support structures block part of the beam’s path, and this is eliminated with offset or prime focus antennas. Accordingly, the efficiency – or gain – of an offset antenna can be improved by up to +1 db relative to the same size symmetrical antenna. This translates into an efficiency for the offset antenna that can be as high as 80 percent. Aperture taper efficiency is a measure of the uniformity of the antenna’s parabolic shape such that radiation reflects uniformly in amplitude and phase across the surface, while the main beam is maximized and the overall side lobe envelope is lower. Surface accuracy is a measure of the reflector’s surface such that the radiation bounces cleanly without blockages or misdirection. Reflector materials also have a significant impact on radiation performance, and carbon fiber reflectors are the highest performing materials due to their rigidity and tolerance to withstand extreme heat and cold — unlike aluminum reflectors, which lose shape and gain with extreme temperatures. While carbon fiber reflectors are high-performing and very efficient, an antenna must have sufficiently stiff pointing for the terminal or system to operate efficiently. Key to stiff pointing is the antenna’s positioning system. AvL Technologies has offered industry leading positioners for 20+ years, with the AvL Cable Drive positioner being the foundation of most of the company’s antennas. The zero-backlash cable drive technology provides the ultimate in precision and stiffness over geared and other drive systems, and the system utilizes the averaging effect of many cables wrapped around a capstan and an output shaft. The AvL Cable Drive is a maintenance-free mechanism that is able to operate in a wide range of difficult and hazardous conditions without degradation and the many cables provide significant redundancy to ensure antenna performance and efficiency. For O3b’s MEO network, antenna efficiencies also include tracking the satellites as they quickly move from horizon to horizon, and seamlessly managing make-before-break communications in the process. O3b efficiently manages a global network of gateways that are strategically located on the Internet backbone, and offers a wide range of terminals that support many types of customer applications. The terminals available include fixed terminals, marine terminals, and case-based transportable terminals. The Transportable Terminal Antenna Systems are made by AvL Technologies and enable users to rapidly deploy O3b’s network capabilities to meet changing requirements and evolving needs. The Transportable Terminal Antenna System is designed to be transported in durable transit cases and to be set up and on-the-air within two hours. Many new Earth terminals now offer multi-band and multi-application operations, thus the efficiency of two or more antennas in one is offered. With multi-band enabled antenna operations, weather conditions, transponder capacities and other issues are less limiting. An operator can simply direct the antenna to select a different feed and RF kit, and point the antenna to a different satellite within minutes. DVB-S2, or Digital Video Broadcasting — Satellite Second Generation — is an established standard that has dramatically increased the efficiency and quality of satellite data transfer for video. The standard uses an enhanced modulation schemes, code rates and a generic transport mechanism for IP packet data — all of which means that DVB-S2 dramatically increases performance over past standards. 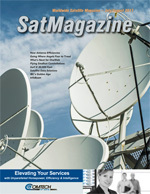 Satellite News Gathering (SNG) users and others have seen impressive performance over the previous DVB-S (Digital Video Broadcasting — Satellite) standard, as well as significant improvements to transmission quality and a higher degree of transponder availability due to the use of satellite spot beams being optimized. Efficiencies with HTS satellites, MEO networks, Earth terminals and modems have paid it forward to numerous industries, including telecom, oil and gas, SNG, and civil and government services. 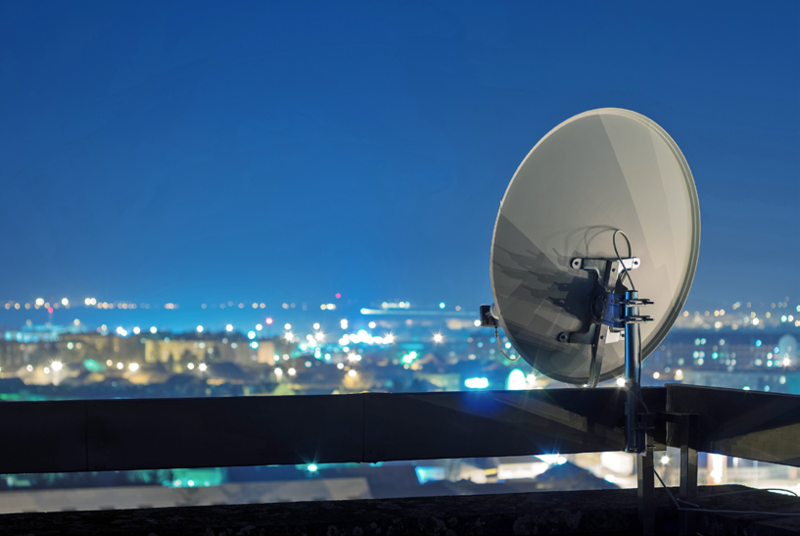 Telecom networks use SATCOM services on a regular basis, yet phone and data end-users rarely recognize this due to the seamless integration of satellite and telecom services. 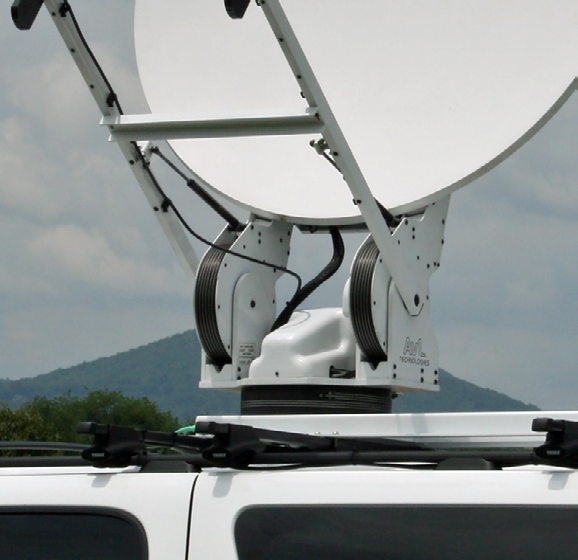 Telecom networks — both landline and wireless — use SATCOM for backhaul on a regular basis as well as to increase bandwidth at events that draw crowds. 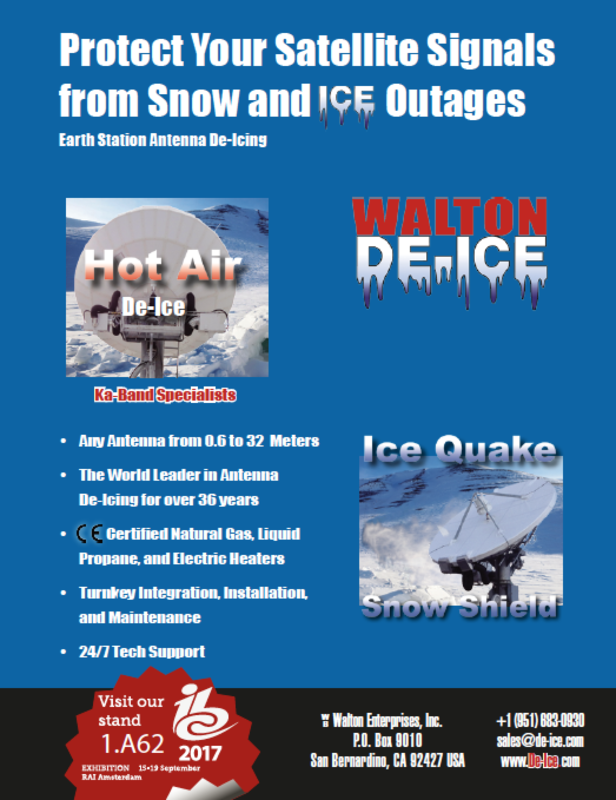 SATCOM is not as easily impacted by extreme weather, so telecom networks use SATCOM to restore communications after severe weather when terrestrial systems are down. With SATCOM, telecom networks are incredibly efficient. The oil and gas industry often uses satellite communications to efficiently and effectively communicate from remote and unmanned locations. Transportable Earth terminals can be set up in any remote location and in any environment, and transmit machine-to-machine data back to oil and gas company headquarters located thousands of miles away. By doing so, oil and gas companies efficiently manage equipment operating remotely without staffing remote sites, and are quickly alerted via SATCOM when issues arise at remote sites. 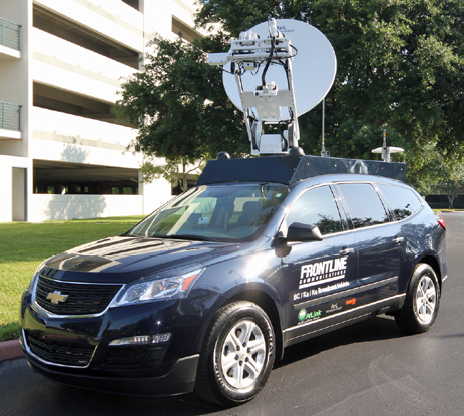 Transportable SATCOM also enables operations in other unmanned, risky or dangerous activities, such as border patrol and nuclear monitoring. With SATCOM, these activities can be remotely monitored continuously with streaming video — and without an army of staffers or without placing employees in harm’s way. SATCOM has always been groundbreaking — it is rocket science, after all. Radio frequency (RF) engineers and other incredibly smart and talented folks in the satellite industry have continued to innovate to make our communications more and more efficient and effective by the day. And these efficiencies are realized in space, on Earth and among the many industries we serve. Krystal Dredge is the director of marketing for AvL Technologies. Krystal has 15+ years of product marketing experience in satellite and wireless communications, and most recently worked at Honeywell and EMS Defense & Space Systems prior to joining AvL in 2012.